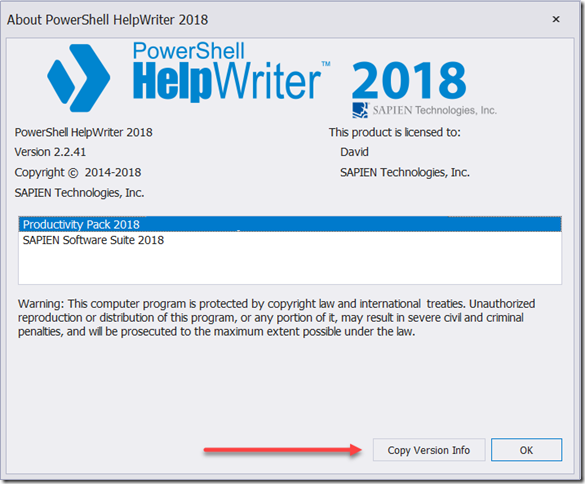 We released a new service build of PowerShell HelpWriter 2018 (v2.2.41). 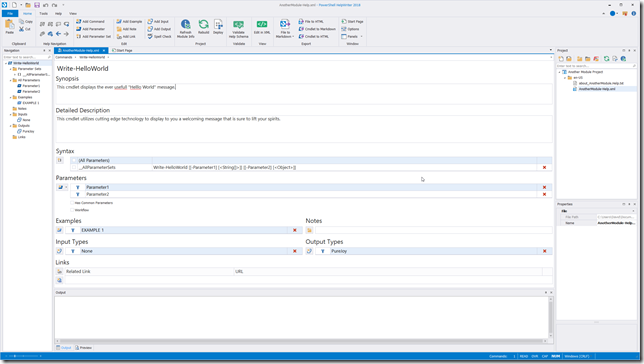 This service build is included as part of the regular update cycle for our subscribers. 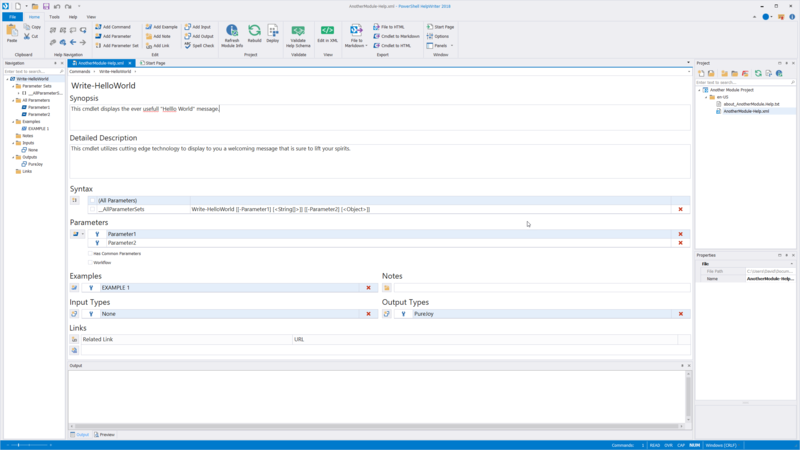 This service release introduces the new spell checking feature for the help file designer. Note: The real-time spell checker is limited to the active field within the designer. 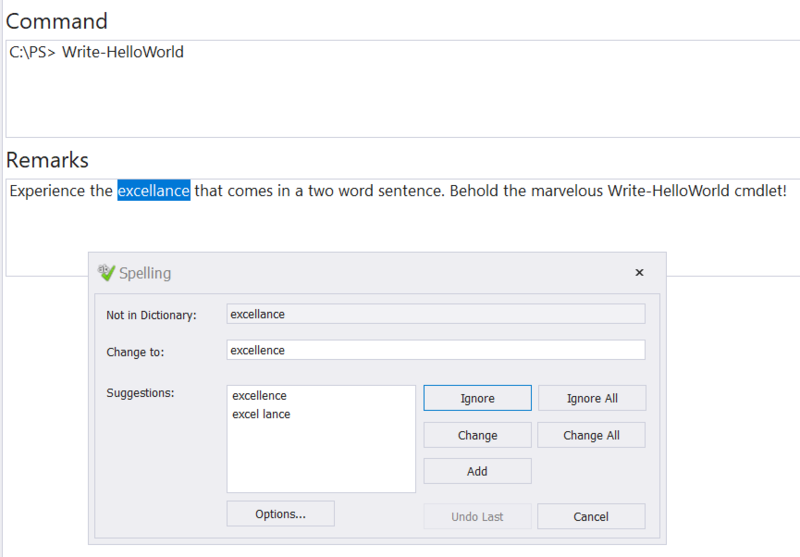 You can manually trigger spell checking by pressing the Spell Check button from Ribbon > Home > Edit. Note: This command will trigger spell check for all applicable fields in the current view of the designer. You can use this dialog to temporarily ignore the word or replace it with a provided suggestion. You can use the Add button to add the word to the Custom Dictionary (see below) so that it will no longer be flagged as a misspelled word. 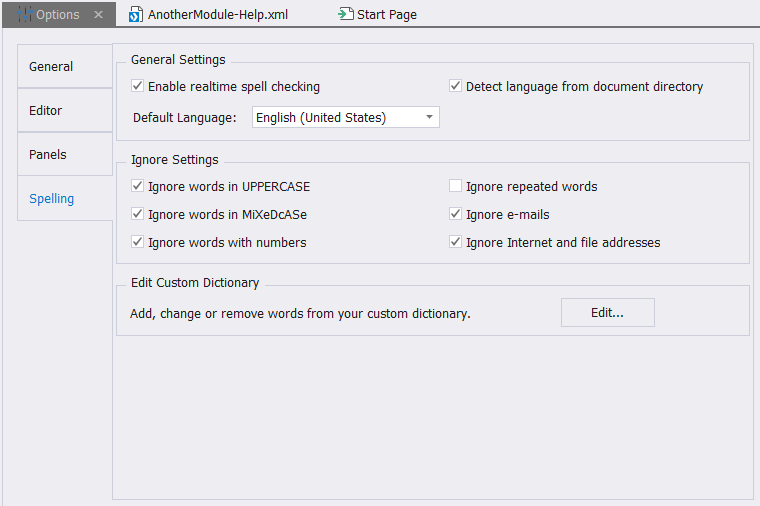 This dialog provides an alternative way of modifying the spell checker’s options. 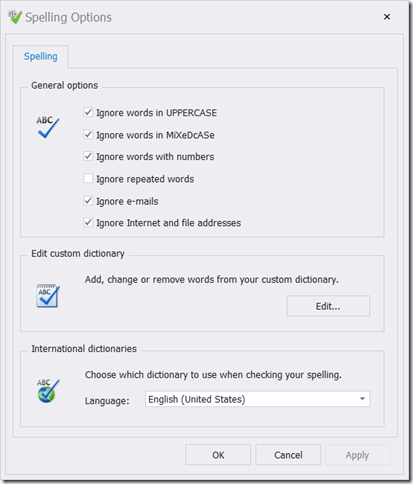 The spelling options are covered below. 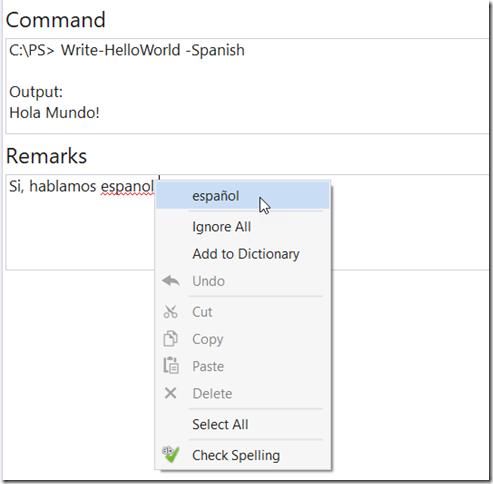 Where is Spell Checking Supported? 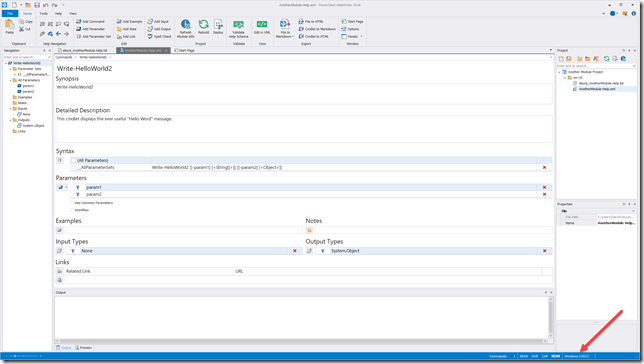 The designer limits spell checking to the Synopsis, Description and Notes / Remarks fields. 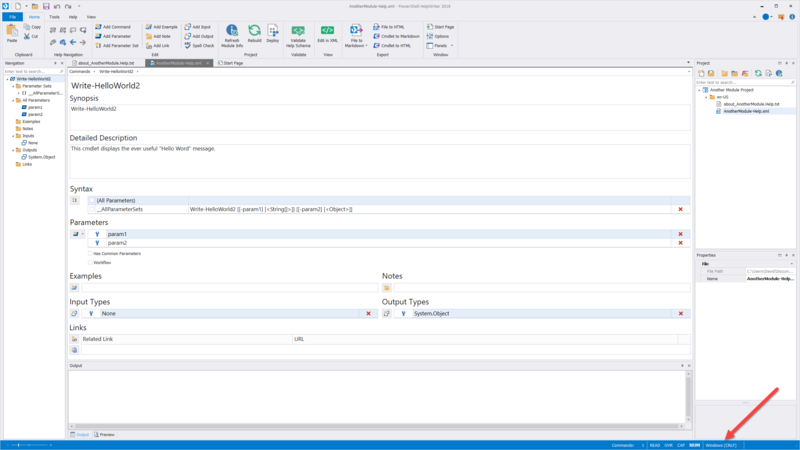 Therefore, fields such as the Name, Type, and Code fields will be excluded. 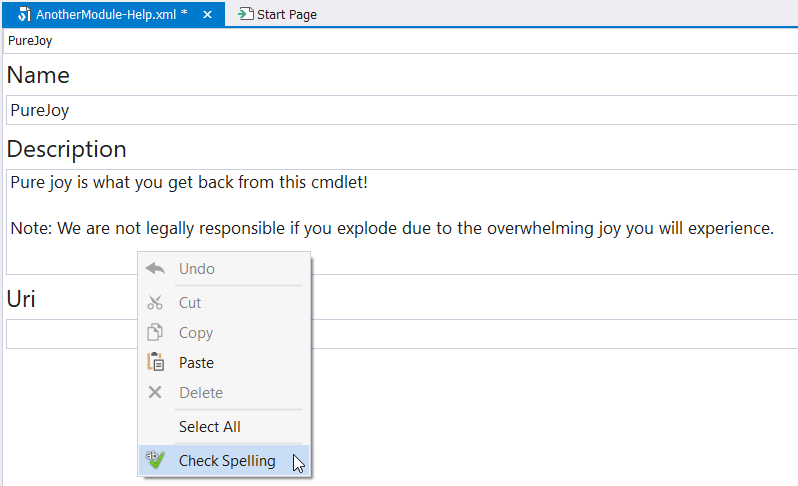 In addition, spell checking is not available for About help files at this time. 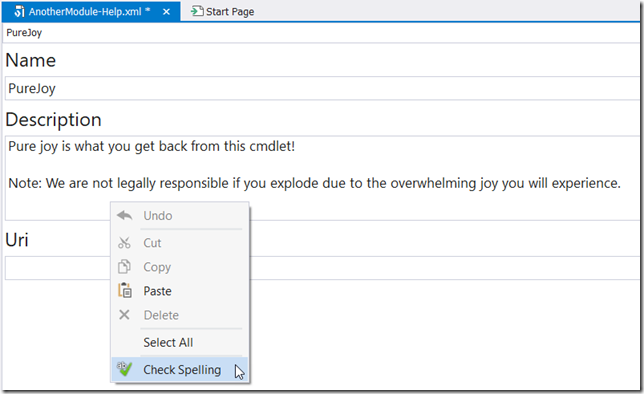 Check this option to enable real-time spell checking as you type. When enabled, spelling errors are underlined with a red squiggly line. 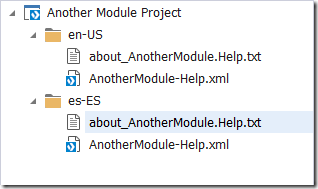 Note: The folder name is using the language tag name declared by National Language Support (NLS) API Reference at the Go Global Developer Center. 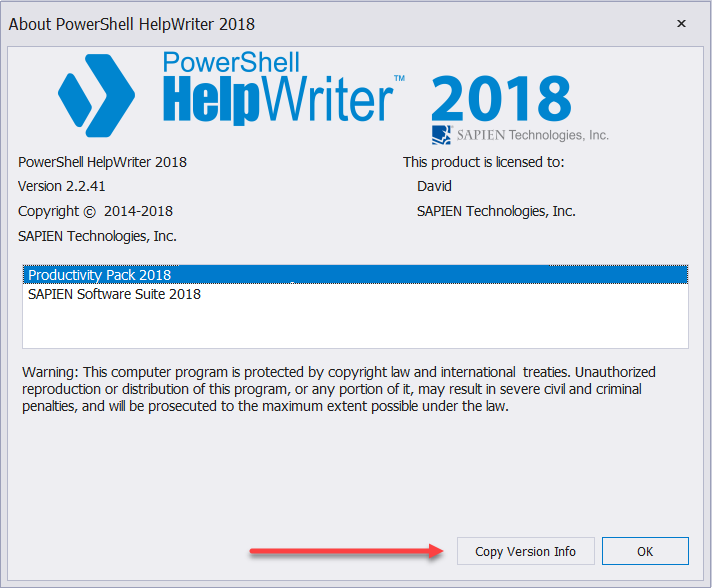 When this option is enabled, PowerShell HelpWriter will automatically select that language of the spell checker depending on the name of the parent folder of the help document. 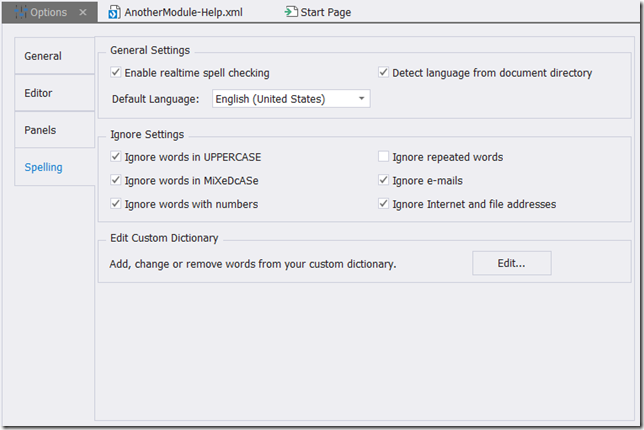 If PowerShell HelpWriter is unable to determine the language, or if the language isn’t supported by the spell checker, it will then use the default language. 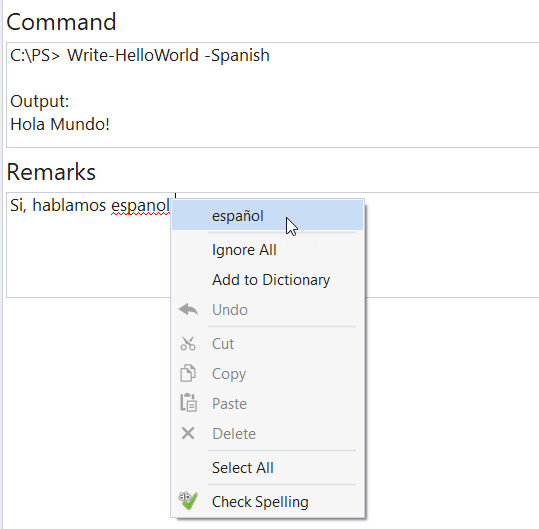 This option allows you to choose which language to use as the default setting for spell checking. 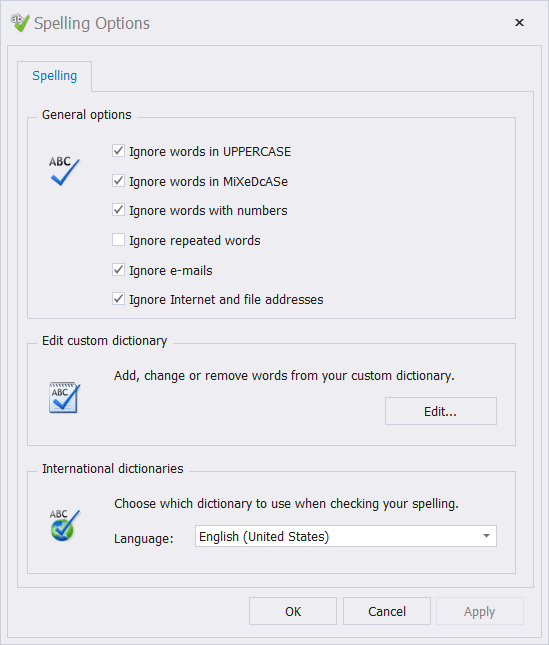 These settings control the behavior of the spell checker by specifying in which cases the spell checker should ignore a potential spelling error. 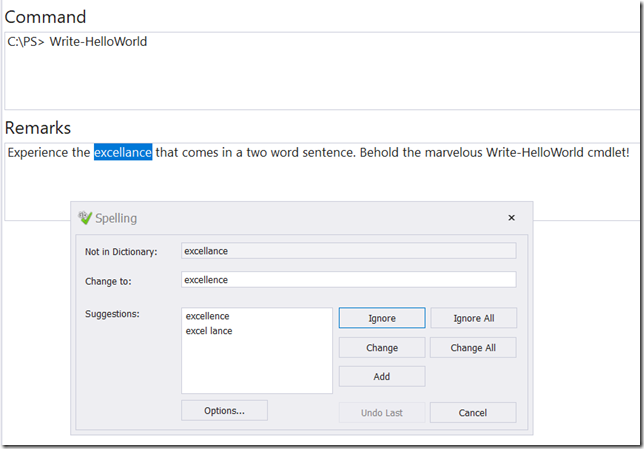 Use the Edit… button to edit the contents of the Custom Dictionary (see below). 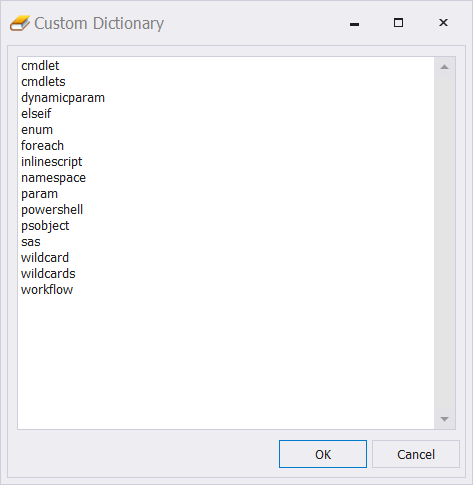 PowerShell HelpWriter supports a customizable dictionary which allows you to add words to the spell checker that would otherwise be flagged as misspelled because they are not included in the preset dictionary. 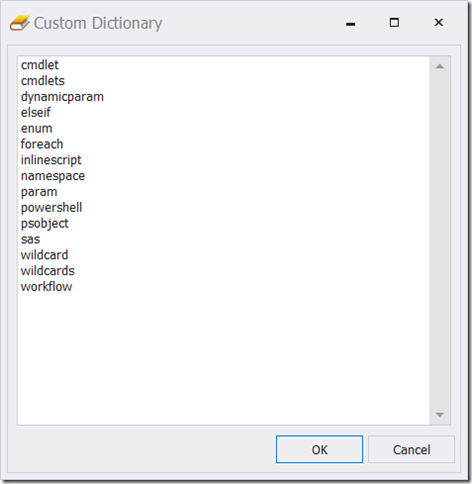 PowerShell HelpWriter’s default Custom Dictionary comes prepopulated with PowerShell keywords. 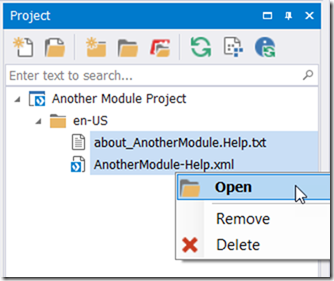 You can use the multi-select feature to open several files at once or to bulk remove files from the project. 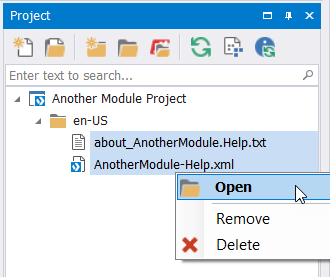 The About Box’s Copy Version Info button will now copy the application and OS information to the clipboard. Announcing our 5-Day On-site PowerShell Training!